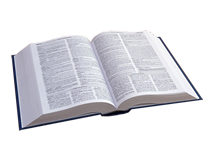 Check here often to determine current versions, seminar locations and show schedule. We at GraphiTech take our responsibilties seriously. We will do our best to be certain that your purchase does exactly what you want it to do. Guaranteed! Time is money. And with GraphiTech's Global Management System you can Cost and Track any job within the plant in Real Time! Instantly! Video Help Available Now!! Click Here to Watch The Estimating Videos. Latest Release! Digital Estimator with dual matrix driven lookup tables. Millennium Estimator. Powerful, yet easy to use. See this product today. Job Costing. Generate reports on Cost, Productivity, Attendance and more. Data Collection Keypads and Bar Code readers at low, low prices! Price List Generator for up-to-date Counter or Commercial Pricing. 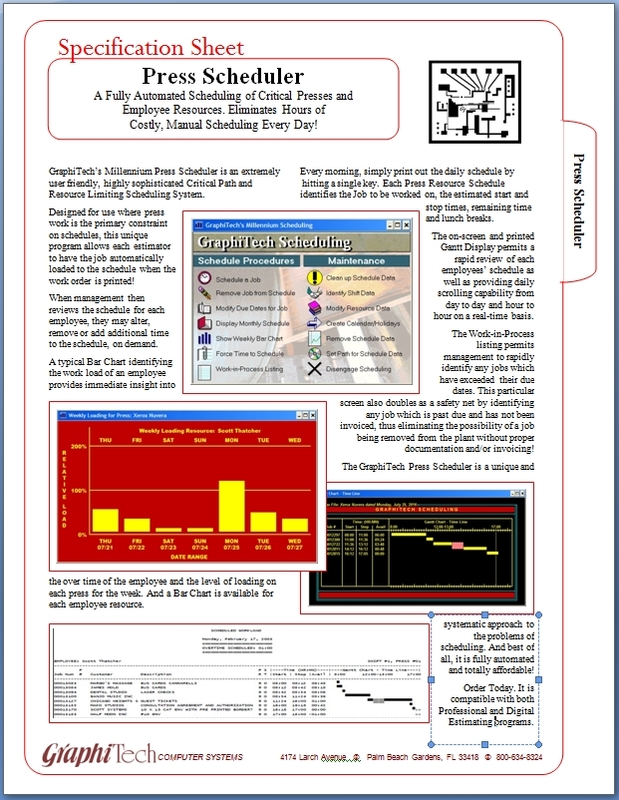 TermSys real-time, networked terminals for easy, fast data collection. KeySys multi-drop network for powerful keypad/barcode data collection. Invoicing module that interfaces with Infinity, KIS and QuickBooks. Powerful Order Entry Job Jacket. Job Tracking from Any Location in Real Time. An incredibly easy to use program that converts your Digital or Professional Estimator into a Template Driven product. No longer search your existing quotes and jobs to find just the right kind of estimate from which to create a new quote. Just click on the Category Desired followed by the Product and your worksheet is instantly populated with almost 100% of your required input. The two screens shown are: In Back, an input screen for capturing the quotation used to identify the product while the front screen illustrates the actual selection of the Category and Product used to create the estimate. Once loaded to the Worksheet, simply enter the desired quantity and quote it. It's that simple. 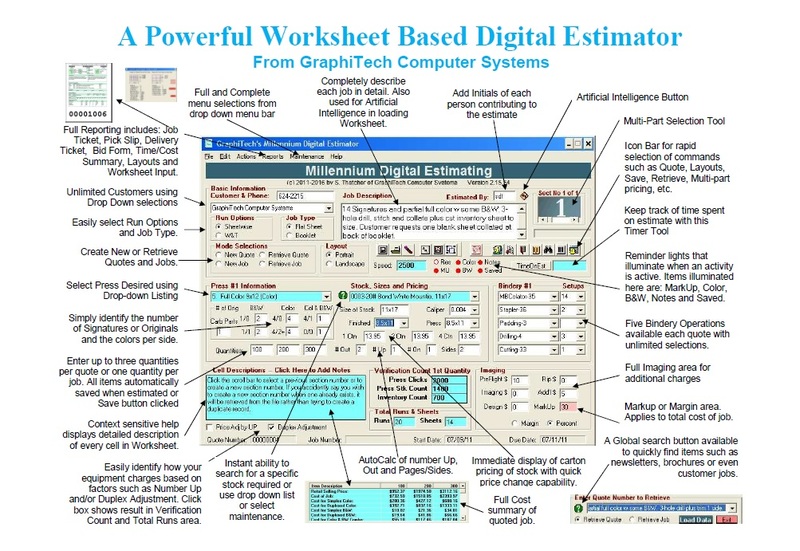 GraphiTech's Digital Estimator is the most Powerful, Accurate and Easy-To-Use software available anywhere! Using sophisticated dual-matrix lookup tables for click rates along with inventory, bindery and numerous utilities, you'll be amazed at how you ever estimated jobs before. And our Basic Digital Estimator starting at just $175 will give you this incredible power without spending a fortune doing so. The Basic package includes everything needed to estimate even the most complex jobs (See full specs and Capabilities at above Link). Up to nine options are available that you can add to this remarkable program to make it an even better way to estimate. Options include Artificial Intelligence Button, Full Bindery Edit, Stock Inventory, Price List Generator, Front Desk Estimator, Historical Ledger, Reports Package, Electronic Job Ticket, Invoicing and more. In addition, the Digital Estimator interfaces with our other programs such as Job Costing, Job Tracking, Budgeted Hourly Cost Analysis, Scheduler and our Full QuickBooks Invoicing program that permits users to post jobs directly to QuickBooks IIF import files. If on GraphiTech Maintenance, the Full $1,475 program is FREE. 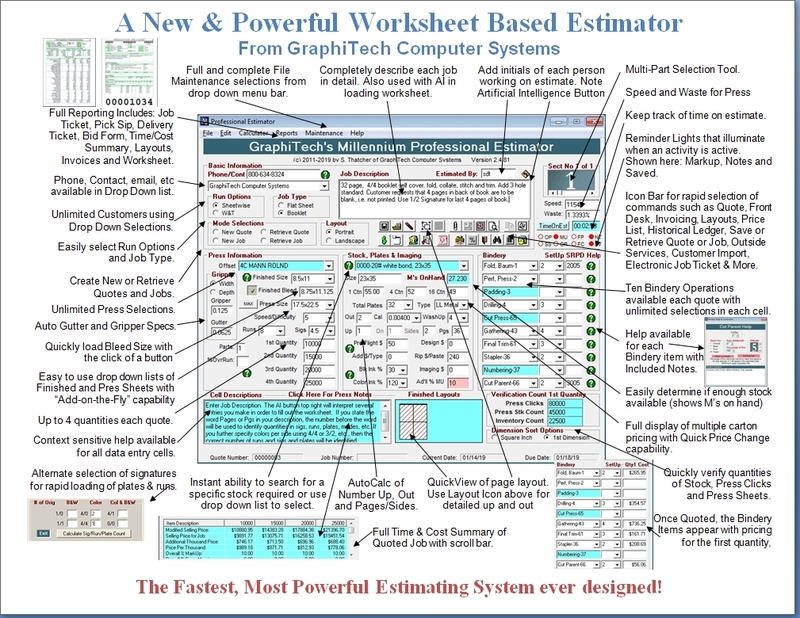 Click Here to see the true power of GraphiTech's new Digital Estimator. Click Link for Special Pricing if New User or Not On Maintenance. 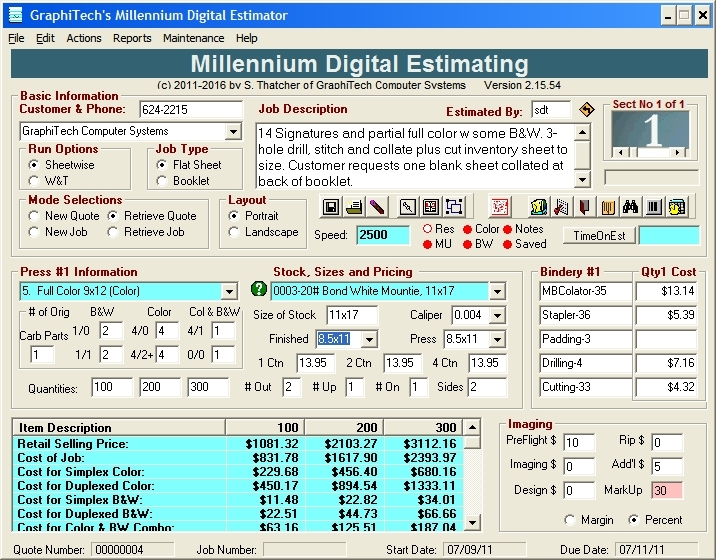 The GraphiTech Millennium Professional Estimator has been derived from our Legacy Professional Estimator (which is still available and still in use). Now you can completely specify those toughest jobs in just minutes. The 8.5x11 Job Jacket prints in Portrait mode and includes Pre-Press Notes and full Job Description with additional sheets that include Pick Slip, Full Job Notes from All Departments and more. Other reports include Production Layouts, Quotations, Time/Cost Summaries, Delivery Tickets with job specific details never before possible... and all based on a single screen Worksheet. 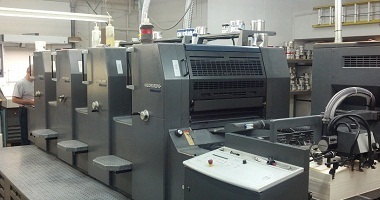 From Pre-press to Press to Bindery, each area of this incredible program enables the user to enter data for an order as well as data for an estimate or both! And, by using an icon tray, numerous additional features may be accessed right at the Worksheet. These include an Artificial Intelligence Button, Full Bindery Edit, Stock Inventory, Price List Generator, Front Desk Estimator, Historical Ledger, Reports Package, Electronic Job Ticket, On Screen Layouts, Invoicing, Historical Ledger, Top Revenue Customer Report, Full Networking and more. In addition, stand-alone programs such as Budgeted Hourly Cost Analysis and QuickBooks Invoicing Interface are also included as part of the Full program. FREE upgrade if on Maintenance 3 Years. Not on Maintenance but own Legacy? Cost is $1,400 (Reg. $4,100). Click Here for Special Pricing if New User or Not on Maintenance. 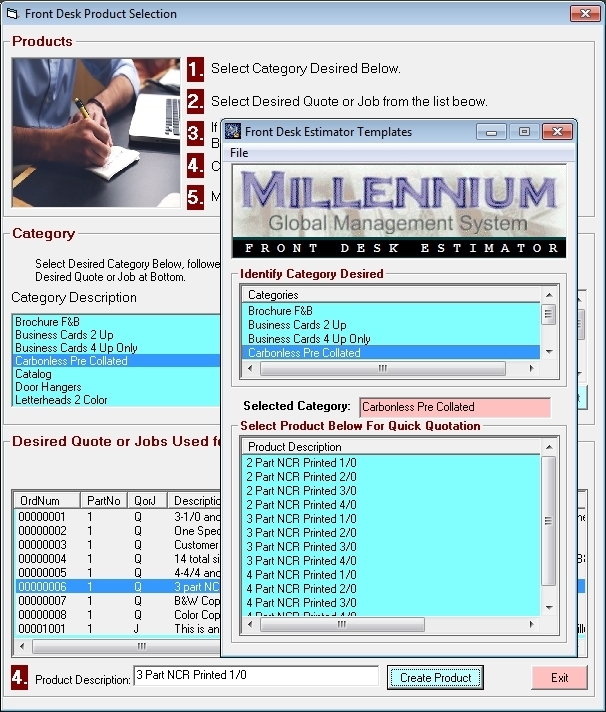 GraphiTech's newest product is called the Millennium Electronic Job Ticket. This product enables all personnel to review the current requirements for any department as well as to allow production personnel to add comments and notes which may impact deliveries, costs and more. In addition, GraphiTech offers the opportunity to have your Licensed Software reside in the cloud for easy access from virtually any device. 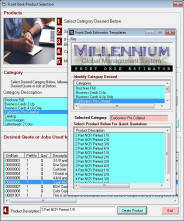 GraphiTech's Millennium KeySys is one of the most powerful, real-time data collection systems available anywhere! Utilizing a multi-drop network, KeySys operates as a network within a network and gives both the plant manager and production personnel both two-way communication as well as instant real-time data on each job. From a single workstation you can view the entire shop floor and all activity, including employees logged into jobs, location of any job, active keypads, materials used and more. See the specification sheet for this remarkable product. Our Automatic Scheduling program identifies the resources and time available whenever a Work Order is printed. 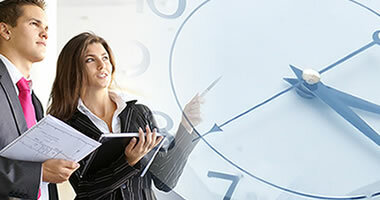 Using the estimated time from the Millennium Digital & Professional Estimator, the time is added and compared to that available and either accepts the proposed due date or suggests an alternate date based on the resource loading. This page includes the latest information regarding version numbers and a brief synopsis on enhancements included with that update. In addition, any items of interest regarding operating systems, problems, seminars, etc. will also be discussed here. March, 2019: An Island Resort Workshop (Fri & Sat). Sign up now for this one day training program on GraphiTech's Millennium software, only $425 per person. From Estimating, Invoicing, Job Costing and Shop Floor Systems, you'll receive intensive, hands-on experience working with state-of-the-art software and hardware in a relaxing beach side classroom. Lunch break includes Beach Side luncheon, if desired. Call 800-634-8324 for Reservations before February 15, 2019. By planning now, you will receive a 20% discount on the training sessions from GraphiTech and substantial discounts on the Hotel. Classroom is limited to 15 participants, so call now for reservations! If you arrive early or depart late, try booking a beachfront snorkeling trip or try your hand at parasailing! GraphiTech along with 7 other Print Management System vendors and 8 DotCom Companies, agreed in principal to provide working extensions to the JDF model for purposes of providing an open eCommerce solution. Click on this link to obtain a copy of the PrintTalk JDF format. This document will provide a complete review of the PrintTalk and/or cip4 model (Interoperable implementation of JDF standard to link e-commerce & print management systems). For additional information regarding cip4, Click Here. Instructions for creating a Macro Script that basically answer questions that are displayed when quoting a job may be created by following these simple directions. Just click on GTMACRO for full details. real-time shop floor data collection, be sure to visit our product pages. Follow us on Twitter or become one of our Facebook friends. Here is a great way to meet fellow users of our products and to share stories and information about GraphiTech Computer Systems. Of course, we hope that you will be kind in your discussions but all comments and information is useful in order to improve both our Client satisfaction as well as to excell in offering excellent products to our customers. Copyright 2013. GraphiTech Computer Systems. All Rights Reserved.